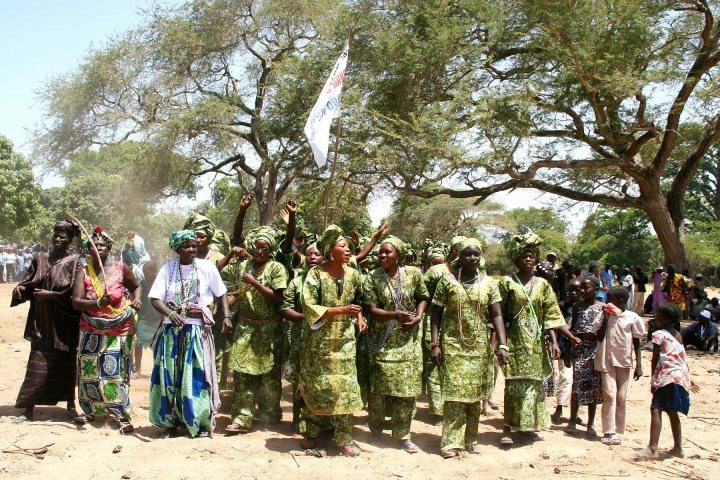 In 2007 Nyodema’s first fundraising event included a photographic exhibition showing different aspects of Gambian life. With this in mind, Kathryn was invited by the Camarra family to a very important event - the initiation of their sons. 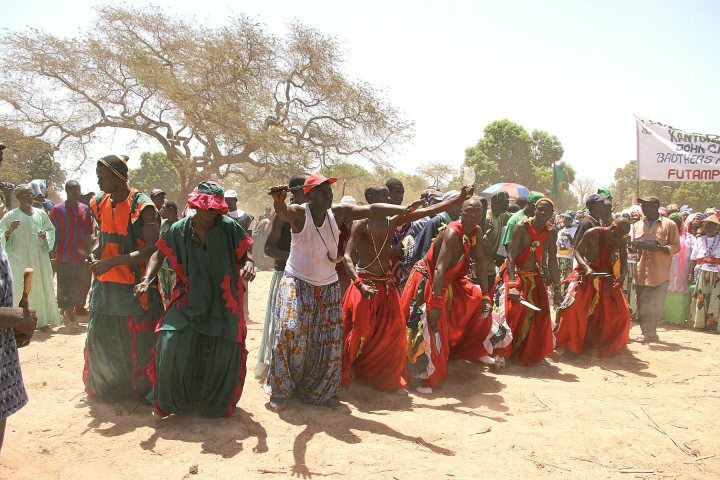 This is part of a large Jola festival with Jolas - an ethnic group present in The Gambia, Senegal and Guinea-Bissau - from across The Gambia (and beyond) gathering together. 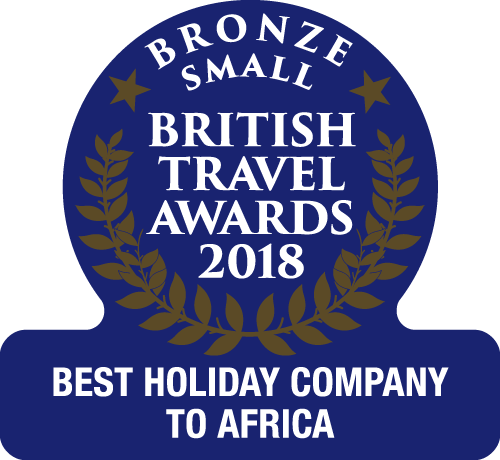 It was the day after we arrived in The Gambia, so with no time to acclimatise, we were up early in the morning to meet Lamin and to start the drive up country. Most of the way the roads were good, but eventually we reached the bumpy dirt tracks we’d been warned about. After about an hour of jostling along we arrived at the temporary village built for the festival near Kanilai. Thousands of people had formed an arena and various groups were marching around, singing and displaying banners. Outside the arena the crowds strained their necks to look on and many had climbed trees to get a better view. We were lucky to be given permission to go inside the arena to get some better photos. 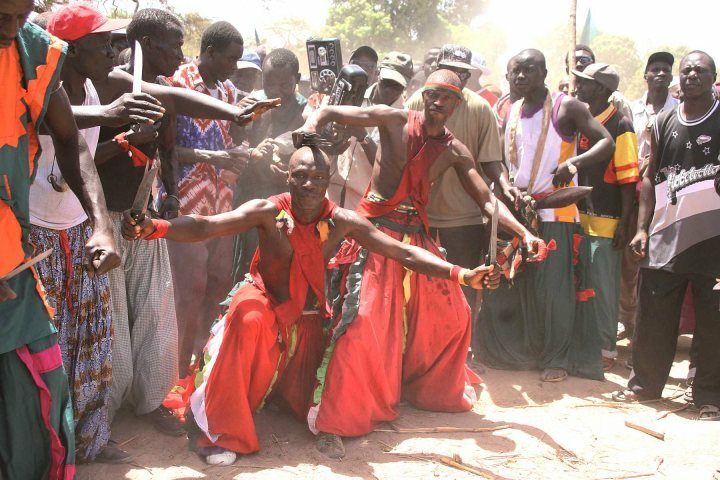 Knife-dancers, dressed in baggy trousers that would give MC Hammer a run for his money, were dipping large knifes in holy water prepared by their marabouts. They were only too willing to demonstrate for my camera how the sharp blades did not cut them. Unnerving but fascinating to watch, they used everything from cutlasses and razors blades to energetically strike their bodies without ever leaving a scratch. Back outside the arena the atmosphere was just as exciting. 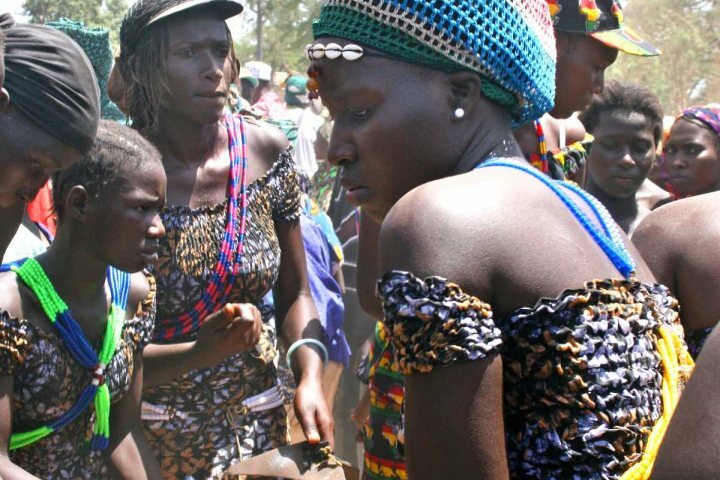 With long strands of beads crossing their torsos, the sisters of those being initiated danced to frantic rhythms tapped out on triangular chimes. Punctuating the drumming, whistle blowing, chanting and dancing, thunderously loud bags exploded in my ears as ’cannons’ were ignited (metal tubes stuffed with gunpowder that are pushed into the ground and lit by a fuse). The midday sun was now high in the sky and we moved away from the crowds to find some shade. Sitting on a rug under a tree, we chatted with passers by while a couple of little girls plaited our hair. We were served a traditional meal of goat. Everyone gathered around a large bowl, and using either hands or spoons, tucked in. 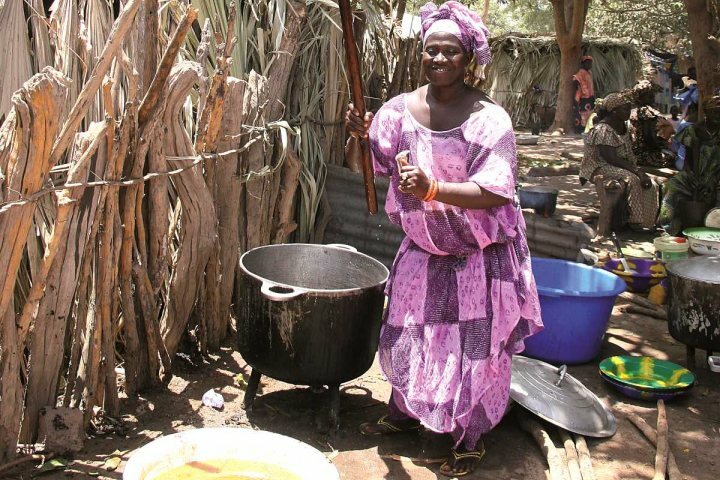 The families of those being initiated have to save for many years as they are expected to feed not only their relatives and guests, but also the local villagers. When we’d finished our meal, I photographed group after group of family members and friends. Then came the initiation of the sons. 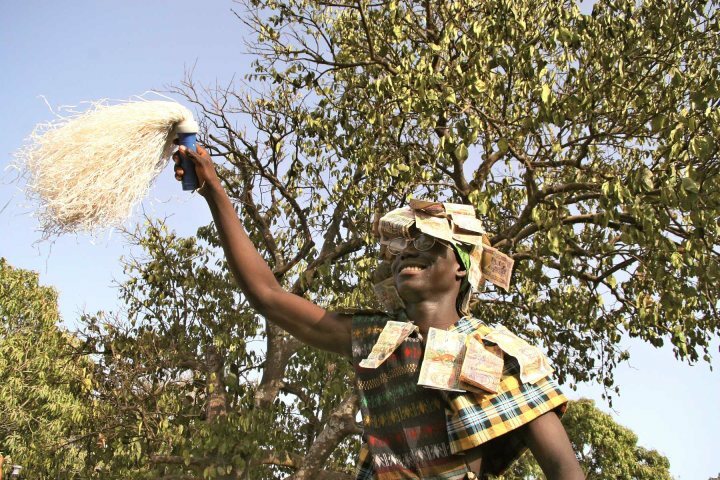 Friends and relatives pinned money onto their clothes before they were hoisted on to someone’s shoulders and led out into the bush. Traditionally they would spend weeks in the bush with their older male relatives learning about their responsibilities as a man, so we were surprised when they came straight back again! Presumably the training is now a more ongoing thing. Our driver wanted to get back onto the tarmac road before dark, so all too quickly we had to leave. It really was a fascinating day and we felt very privileged to have been invited. When we next returned to The Gambia a few months later, we presented the family with a photo album to say thank you for a wonderful day.